One of the most interesting things about the S&P 500 rally that has extended over the past three months without respite is what is driving it. This is, of course, subject to some debate, but we can at least identify a few things that don’t appear driving it. What about earnings expectations? 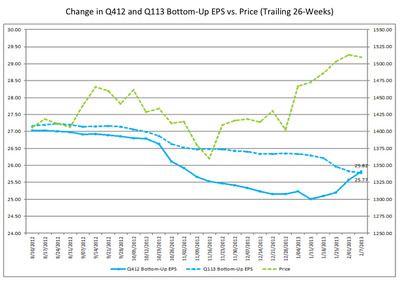 That doesn’t appear to be the case either – earnings expectations continue on a steady decline, even as the market rises. Why are people buying, then? There are likely a wide variety of reasons. We think one of the big ones is probably the special dividends paid out ahead of the fiscal cliff in late 2012 being reinvested in 2013. BMO strategist Brian Belski advances some interesting information in his latest note: everyone is just using this rally to play catch-up. One topic that comes up quite frequently in our client conversations is the desire to increase beta (or risk) within portfolios. From our perspective, investors appear to be chasing the market and not paying enough attention to fundamentals, since many fund managers have underperformed over the past few years and view “risk-on” type strategies as a way to play catch-up as market momentum persists. The problem, according to Belski, is that fund managers are still stuck in the “risk-on/risk-off” mindset that has dominated the post-crisis investment landscape. Belski, like several other equity strategists, believes the market is transitioning into a period of secular stock market outperformance, notwithstanding the pullback that is expected in the near term. According to Belski, “risk-on/risk-off” investing is dead. And it’s been dead for two years. 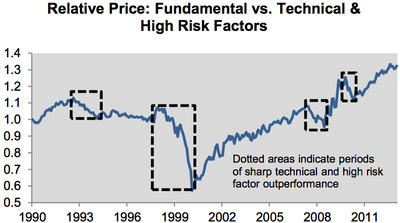 The chart below basically shows that investment strategies based on valuation, growth, and earnings quality have been working better than those based on technical analysis and volatility. Obviously, we are in an extremely low-volatility environment. Whether that continues or takes a sharp turn down again is, of course, an open question. 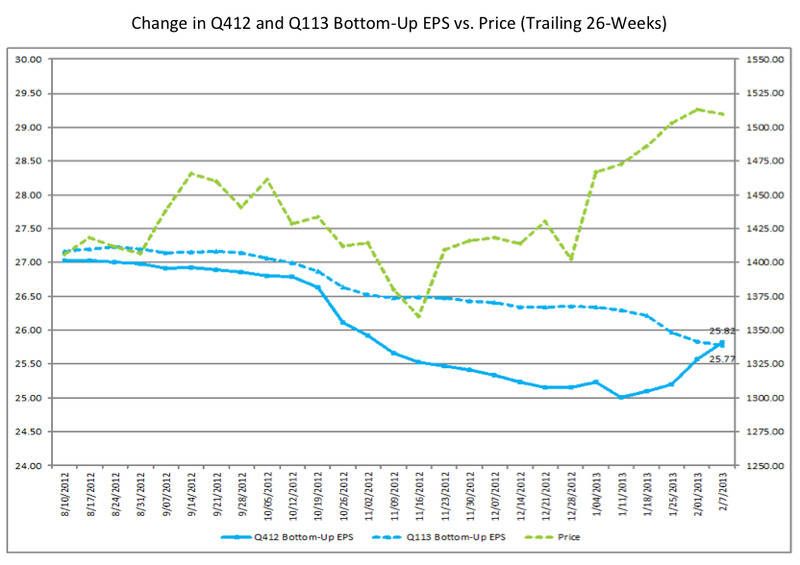 The economic data may turn up, but earnings expectations are still declining. Meanwhile, unless investors expect the next correction to send the market back into a “risk-on/risk-off” frenzy on the order not seen in two years, it may make sense to start focusing on the fundamentals a bit more.